Australian Synthetic Lawns Supply and Install Top Quality Synthetic Grass in Sydney! Australian Synthetic Lawns offers the luxurious look of real grass with environmental friendly synthetic grass and turf products! Sydney, New South Wales - March 28, 2019 - Artificial turf is an easy and affordable alternative to natural grass. It is one better solution when the environment is particularly hostile to natural grass. 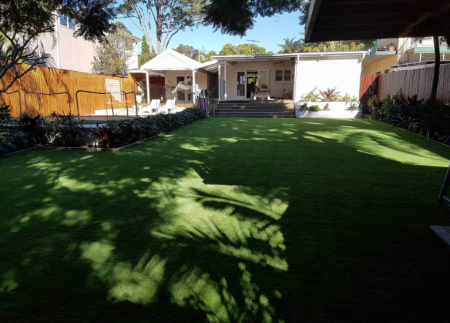 Australian Synthetic Lawns specialises in the supply and installation of premium quality Australian made synthetic grass in Sydney. They have worked with Schools, Childcare Centres, Government Agencies and many Building Companies. When asked about artificial grass installation cost in Sydney, the spokesperson stated, “We provide the highest quality Australian made synthetic grass at competitive prices. To us quality is everything. Our customers can also request free samples of our products before choosing our service,” he concluded. Australian Synthetic Lawns supply and install high-quality artificial grass installation in Sydney. They take pride in providing fast and efficient customer service and perfect results. Visit https://www.australiansyntheticlawns.com.au/ to know more.